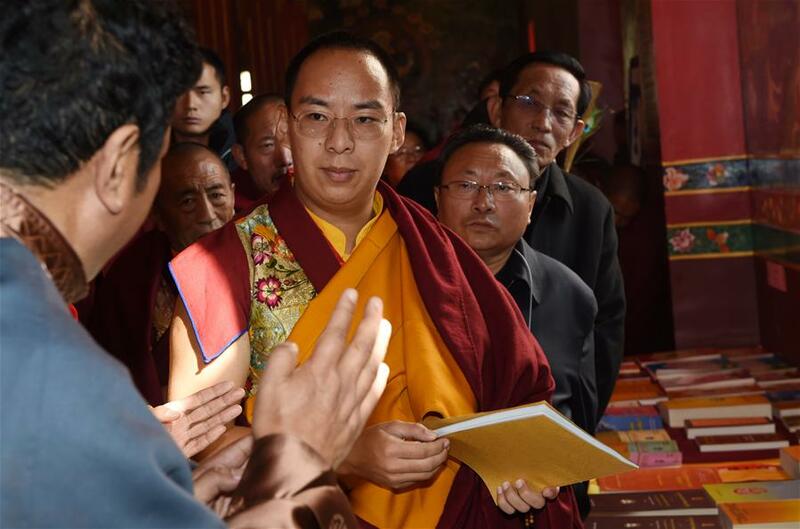 (TibetanReview.net, Dec01, 2015) – In a sign of raising his profile and increasing his role in Tibetan affairs, China has made the 11th Panchen Lama appointed by it in place of the one recognized by Tibet’s exiled spiritual leader, the Dalai Lama, the chairman of Tibet Development Fund. The fund, set up in 1987, has raised 106 million yuan (about US $16.58 million) for 387 projects in the Tibet Autonomous Region (TAR) since 2006, reported China’s online Tibet news service eng.tibet.cn Nov 30, citing the official Xinhua news agency. The report describes the fund as a non-governmental, non-profit organization and that Gyaltsen Norbu was elected to the post. The report cited Deng Xiaogang, executive vice chairman of the TAR government, as saying the fund was expected to play an even greater role in promoting social and economic development in the TAR under the leadership of the 11th Panchen Lama. The fund had previously been chaired by the 10th Panchen Lama and Ngapoi Ngawang Jigme who are both no more. The Panchen Lama is Tibet’s second most prominent religious figure, after the Dalai Lama. However, Gyaltsen Norbu, appointed by China in Nov 1995 as the 11th Panchen Lama is not accepted by most Tibetans. On the other hand, the fate or whereabouts of Gedhun Choekyi Nyima, recognized by the Dalai Lama as the 11th Panchen Lama some months earlier, only to be rendered disappeared by China, remains unknown.